Enough time (2 weeks) had passed since my surgery, so last week I visited the Oncologist and Radiation Oncologist to talk about my next treatment. As expected it was radiation. I would be going for 7 weeks (35 treatments) and they planned to radiate my breast, some of my lungs, and expand the field to really get those lymph nodes too. But before I could begin I had to come back to get some preparation images so they could pinpoint the radiation. I arrived for my scheduled appointment and changed into two gowns. Soon after I was called back to a room that was similar to most imaging rooms I have been in now. However, the room I was in had more people in it. I could see multiple techs through an open window. There were other technicians coming in and out of my room. I then had to take off my gowns... hello everyone!!! When I got on the table I laid back onto a blue body mold, which felt a lot like a beanbag. I put my arms above my head holding on to a handle that was strategically placed. Then I had to turn my head slightly to the left. After they were sure that I was in the right position that bean bag mold became vacuumed sealed into my now standard radiation pose! The mold would ensure I was in the same position every radiation treatment. While the body mold was being formed around me, I was simultaneously being scanned. Multiple films were being taken of my breast, chest and underarm area. The scans were painless and in general only required me to remain still which I had to do anyway because of the mold. Multiple nurses were walking in and out. 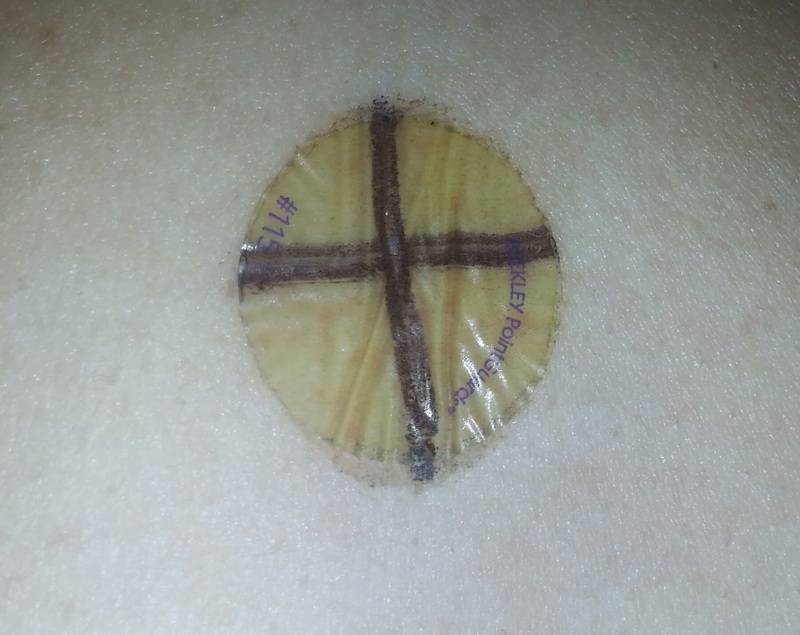 Then came time to mark my body. The tech began drawing + & ---- on me in different locations. Two on my sides, near my lower rib cage. And two in the center of my chest, between the breasts and below. Also, multiple lines were blocking my future treatment area. The + signs were covered with small round tape to hopefully keep them in place until it was time to start radiation. Of course it would not be humiliating enough to lie half naked being touched and marked on... no they would have to pull out a camera and take pictures from all angles. Really! I told them no Facebook posting of those pics unless they were properly Photoshoped. I was in the worst angle and some of the pictures were taken by just holding the camera up in the air. Who knows how horrible those were... except for the many people looking at them later!!! Overall, the body molding process and images took maybe about 30 - 40 minutes, but at least it didn't require anything but my dignity which at that point was pretty much gone. 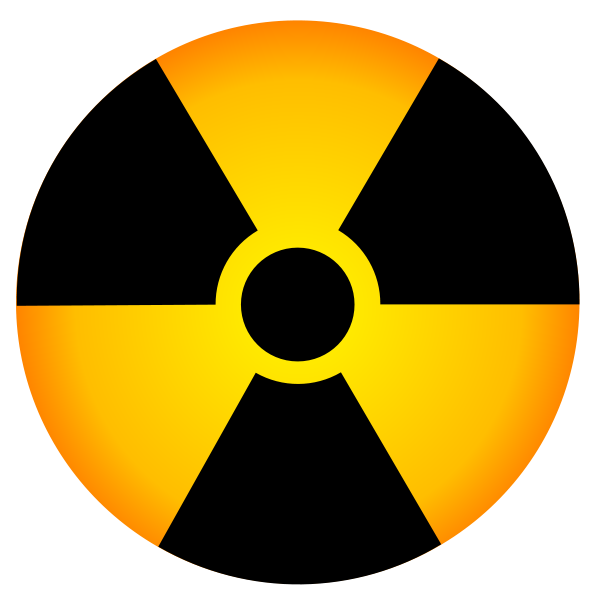 If it was not gone yet, I am sure the daily radiation treatments would take it away! I then got to get dressed and meet with an education nurse. We discussed what radiation was and what would happen. Over the next two weeks my images and all previous scans would be gathered and reviewed. The doctor would review it and determine what areas should be treated. Then a team of Physicists would analyze it and make a definite plan. The doctor would then review the Physicist's plan and if any changes were needed they would re-review it. Once that was finished they would make a computerized plan and I would be given a card that had my individualized plan. Each day I arrived for treatment I would swipe my card and the computer and radiation machine would know exactly where to pinpoint my radiation. In addition, I was told that the Moo cream (Udderly Smooth) and 100% Aloe Vera were fine to use, but that skin reddening does not happen for 2-3 weeks. If or when my skin got bad that I would be seeing the doctor every week and nurses were present daily. Also, I was warned about fatigue and to rest as needed. I was fatigued now!!! Even though she was helpful, I was tired and ready to go. Ready not because it was taxing, but because I had the flu. Yes, I had found out the day before that I was contaminated with Flu A. I was on Tamiflu, but I was still feeling all the horrible side effects. While I did not have a fever I wore a mask just in case. I would hate to give the flu to any other cancer patient there and we all have horrible immune systems. The flu stinks. 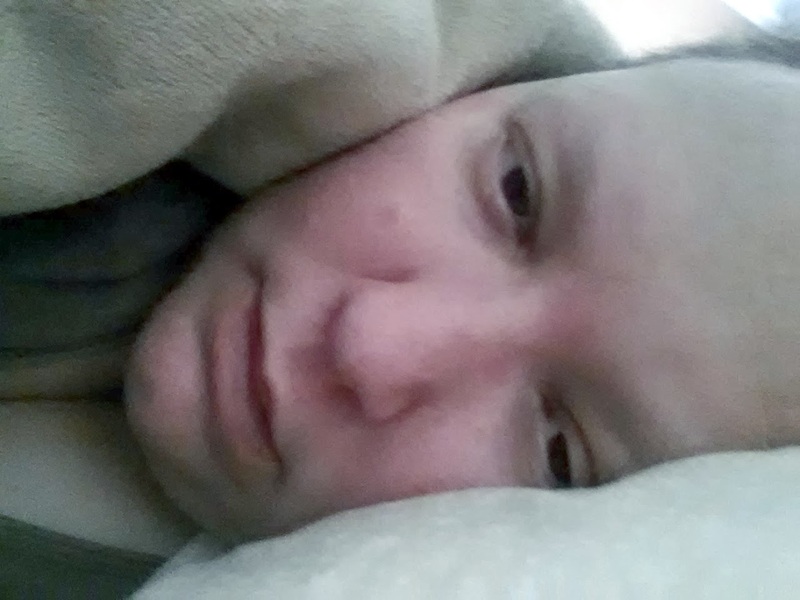 The flu after surgery stinks. Even though I am exhausted and worn out, I am so glad that I got all my radiation planning done. I got it in before the end of the year and can hopefully start my treatment at the beginning of the new year. I am so glad that the year 2013 was almost over... I have so much to be looking forward to with 2014!!! “Go back?" he thought. "No good at all! Go forward? Only thing to do! On we go!"